The Bloomington Future Leaders (BFL) program brings together students from Bloomington High Schools with mentors in the local business community. Activities include Fall and Winter Business Conferences, Spotlight Speaker series and mock interviews at Jefferson and Kennedy High Schools in the spring. The program also awards scholarships to graduating seniors at Jefferson and Kennedy High Schools who exemplify the characteristics of a Bloomington Future Leader. The program is a joint effort between Bloomington public schools and the Bloomington Chamber. Bloomington Future Leaders provides scholarships and mentoring opportunities to students at Jefferson and Kennedy high schools in Bloomington, Minn. Students in pre-business classes take part in two one-day business conferences, one in the fall and one in the winter, as well as have the chance to participate in mock interviews in the spring. Chamber volunteers provide students with insights about their fields and career choices, act as interviewers, and take part in the scholarship application review and interview process. This program works in partnership with Bloomington ISD #271. 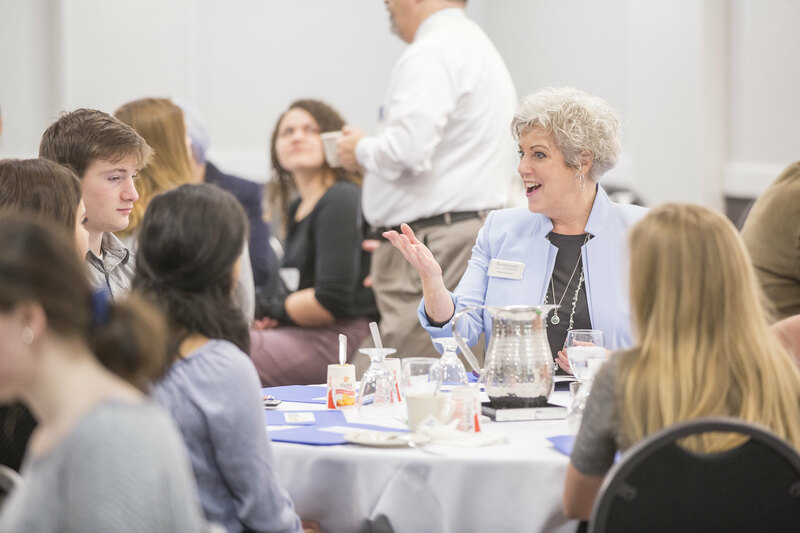 Students from Jefferson, Kennedy and Academy of Holy Angels high schools met with members of the Bloomington business community in October at the BFL Fall Conference. The conference theme was Networking and Personal Development. Speaker Stevie Ray from Stevie Ray’s Improv Company shared ways to improve networking, problem solving, flexibility, professionalism and others skills that they will need as they work towards their career goals. Contact Anna Stinson at 612.370.9123 for details.